My 40 favorite wildlife images. A closeup of a female African elephant matriarch taken in Tarangire National Park, Tanzania. A juvenile African elephant extending its huge ears out in Serengeti National Park, Tanzania. Three young African elephants walking together in Tarangire National Park, Tanzania. 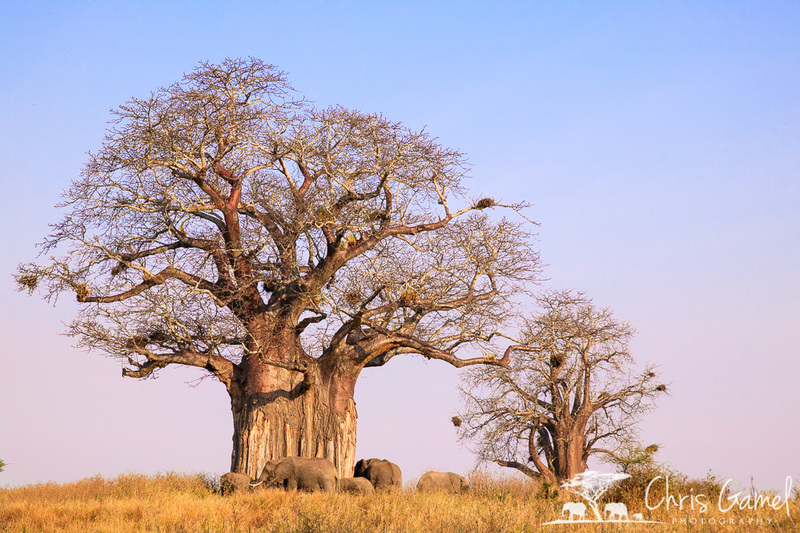 A herd of elephants surrounding a baobab tree in Tarangire National Park, Tanzania. A female lion standing on a ridge overlooking Ngorongoro crater, Tanzania. 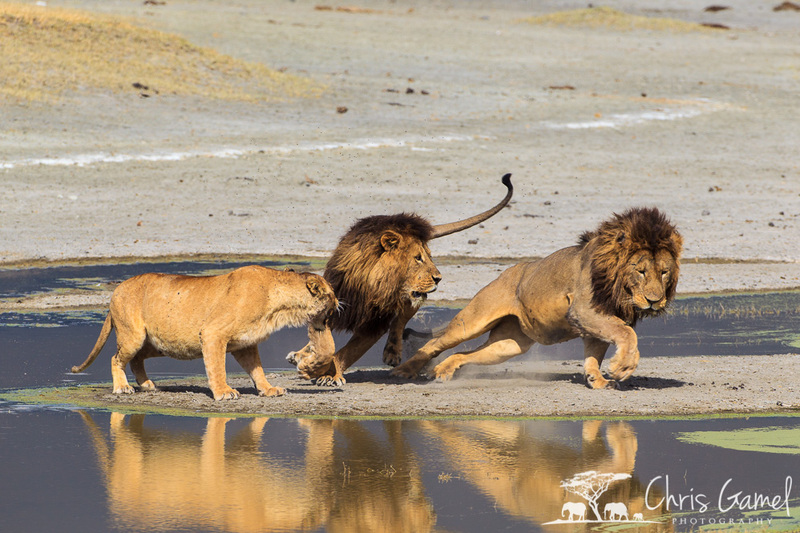 Two male lions fighting by the water as a female lion watches in Ngorongoro Crater, Tanzania. 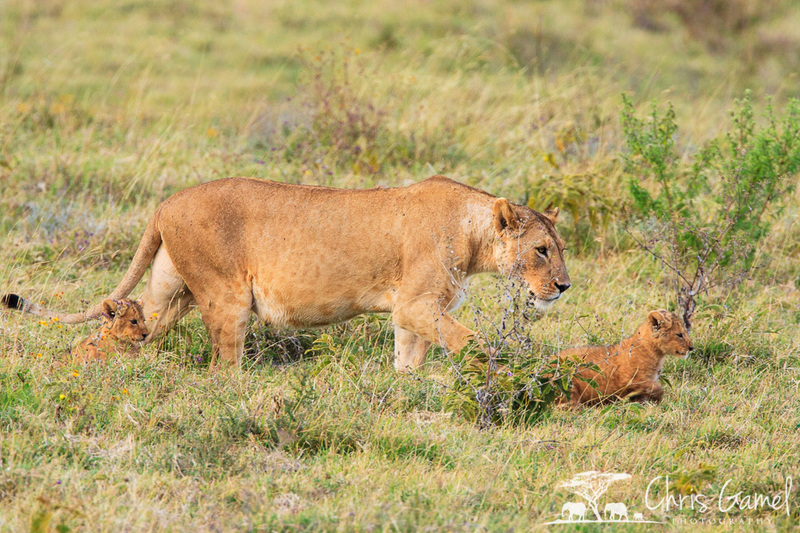 A female lion with her two cubs in Ngorongoro Crater, Tanzania. 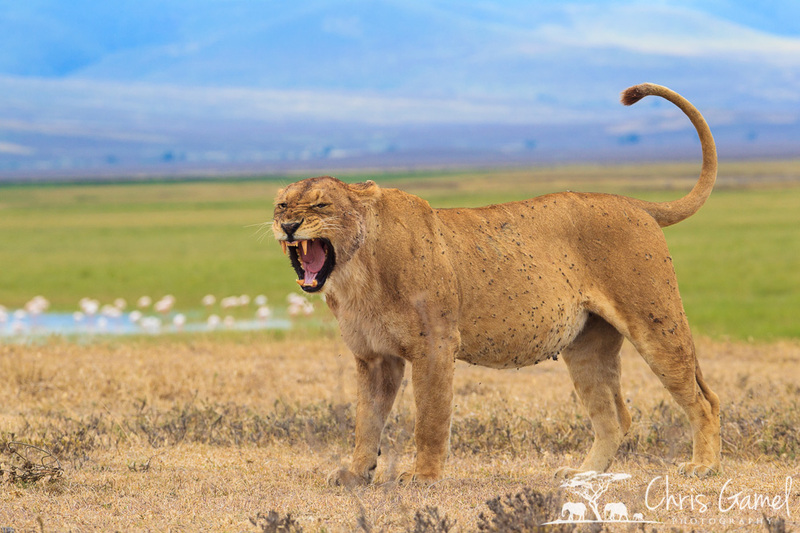 A female lion roaring in Ngorongoro Crater, Tanzania. A portrait of a female lion in golden sunset light in Tarangire National Park, Tanzania. A female lion sitting in a yellow acacia tree in Serengeti National Park, Tanzania. A male lion yawning in Serengeti National Park, Tanzania. Two male Burchell's Zebra fighting for dominance during the mating season in Tarangire National Park, Tanzania. A large herd of Burchell's Zebra on the plains of Ngorongoro Crater, Tanzania. Blurred motion, panning image of a herd of Burchell's Zebra running in Serengeti National Park, Tanzania. 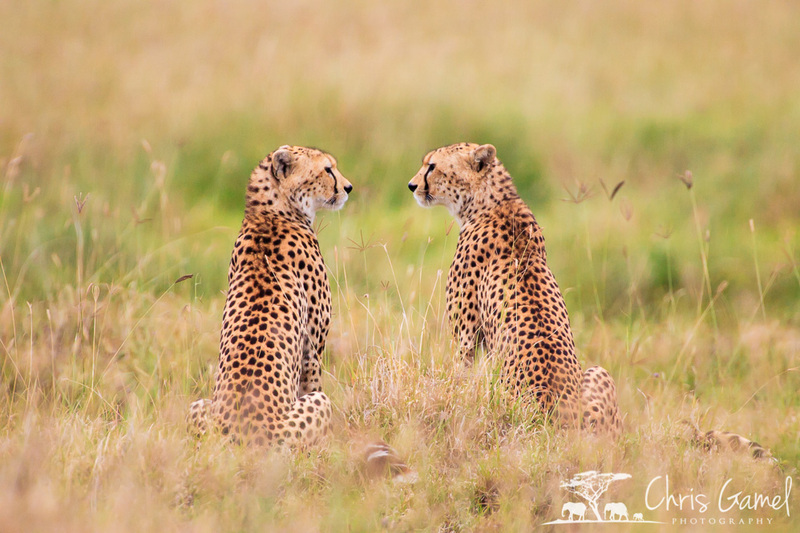 Two cheetah brothers sitting in the grass while facing each other in Ngorongoro Crater, Tanzania. Blurred motion, panning image of an adult male Thompson's Gazelle running in the Serengeti National Park, Tanzania. A blurred motion, panning image of a herd of Cape Eland running in Serengeti National Park, Tanzania. A Spotted Hyaena cub smiling as an adult picks it up by the scruff of the neck in Ngorongoro Crater, Tanzania. A Leopard lying in a tree while yawning in Serengeti National Park, Tanzania. A Masai Giraffe standing on the savanna in the Serengeti National Park, Tanzania. 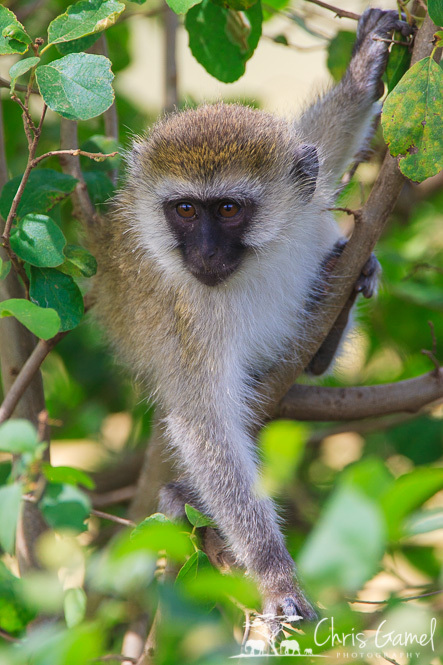 A juvenile Vervet Monkey sitting in a tree in Serengeti National Park, Tanzania. A large wildebeest herd moving through the grass as it migrates across the Serengeti National Park, Tanzania. A Lilac-breasted Roller perched on a branch in Tarangire National Park, Tanzania. 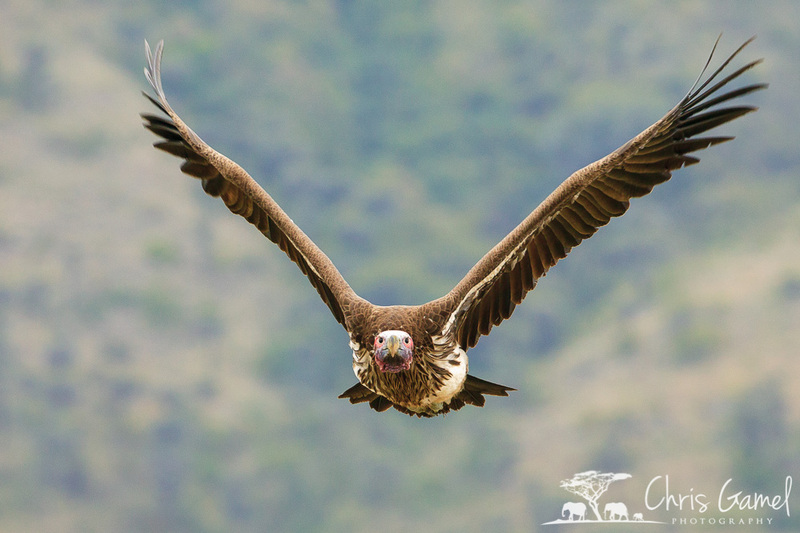 A Lappet-faced Vulture flying in Ngorongoro Crater, Tanzania. A Superb Starling perched on a branch in Tarangire National Park, Tanzania. A large male Brown Bear dripping water and blood with a fish in his mouth in Katmai National Park, Alaska. A large flock of Snow Geese flying in front of the sun during sunrise at Bosque del Apache National Wildlife Refuge, New Mexico. A Sandhill Crane in flight at Bosque del Apache National Wildlife Refuge, New Mexico. 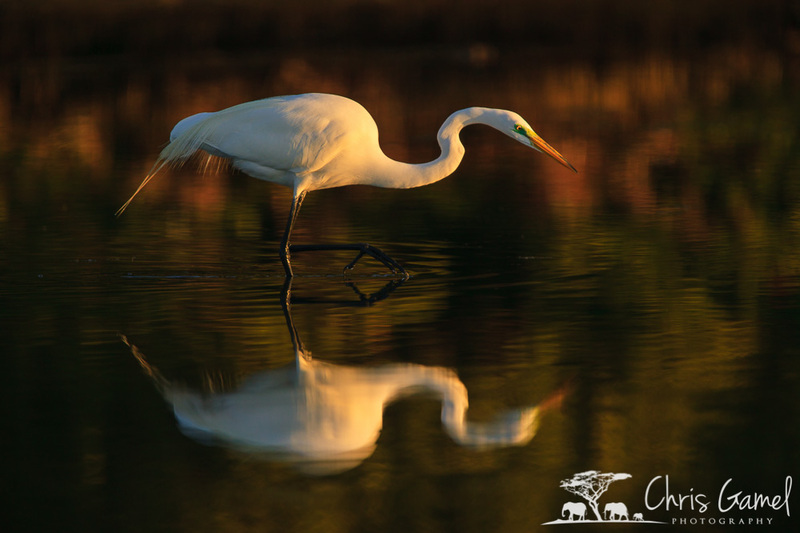 A Great Egret wading in the water hunting for prey in Fort DeSoto National Wildlife Refuge, Florida. An Osprey bringing a fish to the nest on Sanibel Island, Florida. A Great Egret flying over the water just after dawn at the Venice Rookery, Florida. A Northern Gannett flying at Cape St. Mary, Newfoundland, Canada. A Northern Gannett flying at twilight at Cape St. Mary, Newfoundland, Canada. A Eurasian Eagle-owl (falconer's bird; captive). A Blue Footed Booby starting at the camera in North Seymoure Island, Galapagos Islands, Ecuador. A gull calling on North Seymoure Island, Galapagos Islands, Ecuador. A Sally Lightfoot Crab walking across black volcanic rock near the ocean in the Galapagos Islands, Ecuador. A Marine Iguana portrait in the Galapagos Islands, Ecuador. 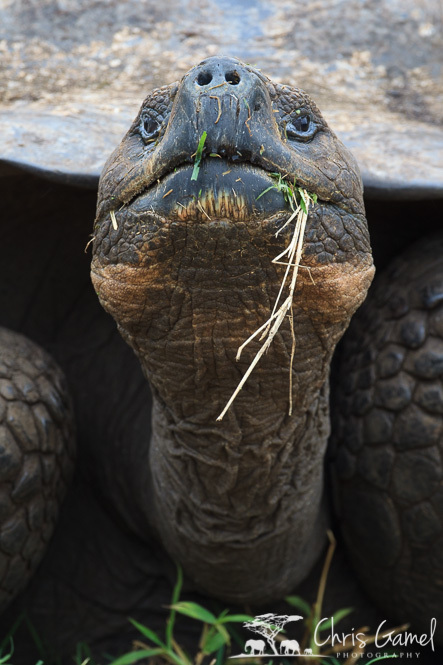 A Galapagos Tortoise portrait in the Galapagos Islands, Ecuador.